The year of 2018 is the last and the most crucial year before China implements the GB VI gasoline standard. The layout of alkylation units at Sinopec and PetroChina will become the key factor to the future development of China’s alkylated oil market. In 2018, the growth rates of alkylated oil supply and demand were close to 10%. More and more market participants took part in the alkylated oil market and paid close attention to China’s alkylated oil market. In 2019, the GB VI gasoline standard will be nationwide executed. As alkylated oil is an indispensable component in the GB VI standard, the alkylated oil supply and demand will greatly increase. Will the demand from state-owned refineries be strong as expected in the future? How will the deep-processing enterprises develop under the pressure from state-owned and independent refineries? How will the alkylated oil downstream industries develop after the consumption tax reform? 2018-2019 China Alkylated Oil Market Annual Report will present the answers of these questions. In recent years, China’s alkylated oil market performs well. 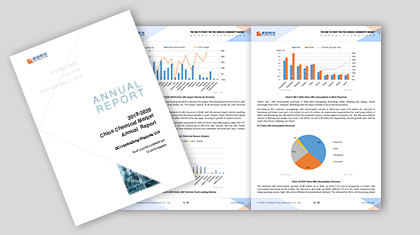 As the earliest China’s commodity market tracker, SCI timely launches 2018-2019 China Alkylated Oil Market Annual Report based on comprehensive data. Besides, this report interprets China’s alkylated oil market status and future development via scientific and accurate analytical method and logic. 1. This report presents the most comprehensive data, including the historical data from 2014 to 2018 and the forecasting data from 2019 to 2023. 2. To present exclusive annual data and analysis about upstream and downstream markets of the alkylated oil. 3. To present exclusive operating rate, profit and inventory data analysis of the alkylated oil market. 4. To present exclusive analysis about the downstream demand structure. 5. To forecast the future alkylated oil supply, demand and price more accurately based on abundant data accumulation.